Fiona joined Property Consultants LLP in September 2006 after a family break to undertake professional valuation work in the agricultural and residential sector. She is an experienced valuer for the purposes of general valuation, as well as probate, and divorce. Fiona specializes in ‘Agricultural Mortgage Corporation’ applications, for loan requirements to both agricultural and ‘lifestyle’ clients. Fiona studied Rural Estate Management at the Royal Agricultural College, Cirencester and joined Lincolnshire County Council, Lincoln in 1990 as Assistant Land Agent in the County Farms Estate Department responsible for short and long term management of over 200 farms covering 25,000 acres. Following privatization, Fiona subsequently took over as a Senior Land Agent at Clegg Kennedy Drew, Stamford. Fiona qualified in 1992 as a Member of the RICS and a Fellow of the Central Association of Agricultural Valuers. 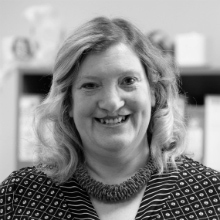 After a short spell in France, Fiona moved to Kent to join Charles Elgar & Sons, Wingham in 1993 as a Land agent acting for private rural, residential and commercial Estates, later acting as Property Manager developing the letting agency. Fiona has been the Chairman of the Kent Junior Valuers, Publicity Officer for the RICS as well as a CAAV regional news reporter. Outside Hobbs ParkerFiona’s background is from an equine and farming family in Yorkshire. She was married to the late Richard Day, a Sussex cattle breeder and hop farmer and has two children. Fiona’s interests include horse riding, country sports as well as skiing and piano.